Kershaw Leek Brown 1660BRN. Kershaw 1660BRN. 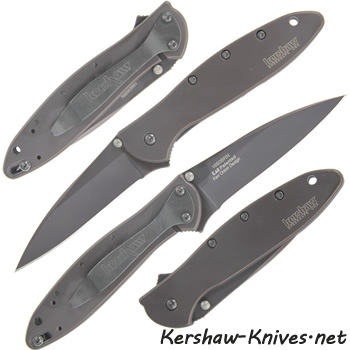 Classic Kershaw Leek with a brown aluminum colored handle and brown blade. Kershaw has gone all brown to give the Leek a new sleek and modern look. It comes with a black pocket clip on the back and a lanyard hole on the end of handle. Opens with dual thumb studs and has a liner lock system and a lock to keep it in place when closed. Three inch brown blade, it is so sharp!